KABUL: An Afghan journalist who was seriously injured during a suicide attack on a French cultural center died of his wounds in hospital on Sunday, officials said. 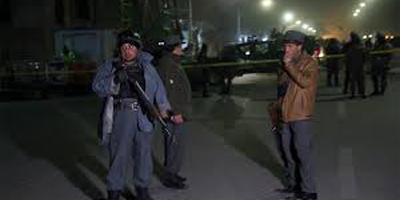 One German man was also killed and 20 other people wounded in the attack on December 11 during a performance in the packed auditorium of the French Institute of Afghanistan in the capital Kabul. The performance was entitled "Heartbeat, The Silence After The Explosion". The dance and music show condemned the regular suicide attacks in Kabul and across the rest of Afghanistan. Zubair Hatami, a journalist and cameraman for local Mitra TV in Kabul, was seriously injured and died after 10 days in a coma. Adul Jabar Aryayee the head of Mitra TV, told AFP the journalist died at around midnight. Taliban spokesman Zabihullah Mujahid had claimed responsibility for the bombing, saying the performance was "desecrating Islamic values" and was "propaganda against jihad" - particularly against suicide attacks.